If you are travelling with young children it is definitely worth taking along your own toddler travel bed. Having a toddler travel bed will save you a whole load of money on hotel rooms and gives you the flexibility to stay anywhere you like rather than having to hunt down those elusive triple or family rooms. 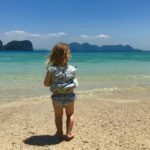 In this post, we will review the best toddler travel beds that you can buy and help you find the one that suits your family and travel style the best. Why Do You Need a Toddler Travel Bed? Most hotels will allow young children to stay for free if you are using existing beds – or if you bring your own kids travel bed. This means that you can all have your own space to sleep but do not have to worry about paying for an extra bed to be put in the room. It’s not just that it is cheaper to fit the whole family into a double room. It also gives you way more flexibility. 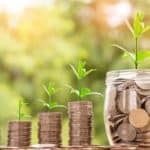 Many hotels will only have one or two family rooms that get booked up quickly, so if you are relying on finding a family room you will either need to be organised (we never are) and book ahead, or you will have to make do with whatever family rooms you can find at the time, and these may be at less desirable hotels. By using double rooms and your toddler camping bed you can be sure to find the best rooms and best deals in your preferred location. If you have a young child, having a portable toddler bed means that you can give them a safe place to sleep. They will be low to the ground rather than in a high single bed that often won’t be placed against a wall. Most kids go through a phase of rolling out of the bed as they get used to the transition from their baby cot so it is reassuring to know that when you travel you will always have a safe place for them to sleep. This is particularly the case as they may be a little unsettled by travelling around and not sleeping as well as they might. If your child is an active sleeper you can even get inflatable toddler beds that have raised sides on them that will help to keep your little one on the bed. By using an inflatable or foldable travel bed that is designed for toddlers you know that it will be a small, cosy and safe place for them to sleep. As it is your own fold up bed you will know where it has been and what has happened to it, which is always reassuring as a parent travelling to new and unknown places. The familiarity and excitement of having their own fold-up travel bed should help them to feel more comfortable with the fact that you are moving around to new unfamiliar locations away from home. Most pre-schoolers love to have something that they can take ownership of as being theirs, and having their own space within the room will help them to feel ‘at home’. If you are expecting family to visit you then it is a great idea to have a portable toddler bed that you can pull out when needed to create a lovely, welcoming space for your young relative to enjoy sleeping in. Similarly, if you want to visit friends or relatives you can reduce the burden on them by taking along your own bed for your little one and you know that they will always have a safe, cosy and familiar environment to sleep in. The main considerations when choosing a camp bed for your toddler will be the type, size, weight, ease of use and design, along with a consideration of how you travel. You may also like to factor in whether your child is an active sleeper or not. There are three main types of toddler travel bed: inflatable travel beds, fold-up travel beds and tent style travel beds. Each has its own strengths and weaknesses which it is important to be aware of before making your choice. As you can guess from the name, inflatable toddler beds will require you to inflate them each time that you use them. This can take a little time but at the end of it, you will have a nice, comfortable bed. After use and deflation, you then have to try and fold it back up into the bag for the next leg of your journey. It is quite likely that your child will notice that their toddler inflatable bed is a bit bouncy and take the opportunity to jump around! So you get entertainment included as well! The benefit of having a blow-up bed for a toddler is that they are compact and fairly easy to fit into your luggage. Toddler inflatable beds generally come with a pump included so don’t worry, you won’t have to puff all that air in yourself! If size is particularly important you could consider getting a self-inflating mattress of the type that you might take camping. These are much thinner than an inflatable bed (no jumping) but offer enough comfort for light bodies to sleep really well. They tend to be a bit slippery and you might find that your child ends up sleeping on the floor. You don’t need a full-length mat so look out for a child size one or go for an adult ¾ length one. With a fold up toddler bed, there is no need for any inflation but some construction is still required. We have used some that take ages and a considerable amount of strength just to get all the bits in the right place. But others simply fold out, so it is worth making sure that you know what you are getting before you invest. Generally, fold up beds are much larger than inflatable ones, so they will be less appropriate if you tend to travel around a lot, moving hotels frequently. They are perfect if you are looking for a spare bed at home for visits for young children. 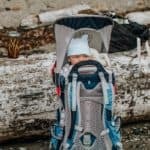 We have included tent style travel beds in this list even though they might be considered by some people to be travel cribs or cots for younger children. We think that they are still a good option for toddlers. They keep your pre-schooler contained, are quick to put up and offer protection against mosquitos. You can get tents that pop up in an instant with self-inflating mattresses to provide comfort. All in all, we feel that they are worthy of considering as a travel bed for a 2-year-old to 5-year-old, as well as for younger babies. Our little girl loves having a tent, it allows her to have some space of her own where she can play games in the day and a place to sleep safely at night. We love that she is in a safe space away from any mosquitos or other creatures that may venture into the hotel room. Size and weight are clearly going to be an important factor when choosing a toddler travel bed. If you will be flying you will need to consider how you will fit it into your luggage allowance and this will probably lead you towards choosing an inflatable toddler bed. Your method of transport at the other end will also play an important part. If you are going to be driving around you are likely to be able to fit any of these portable beds for toddlers into the trunk of your car. But, if you are getting around by public transport you will be keen to travel as light as possible, in which case the Peapod Plus might be your best option. The relative importance that you give to ease of use will again come down to how you plan to use it. If you are moving hotels every couple of days you will get more frustrated at a long build time than if you think you will use it only occasionally or for longer periods at any one time. 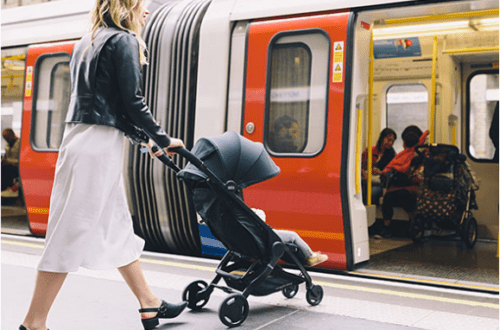 When you are travelling around with babies and toddlers there is nothing worse than arriving somewhere late and having to struggle to put together the travel bed, often in the dark, often in silence and often with limited space. So give this some thought before choosing which of these it the right portable bed for your family. The size and design of the carry bag can also make a big difference to the ease of use of the travel bed. Manufacturers sometimes think that it is a good idea to make the bag exactly the size of the perfectly folded bed, meaning that in real life situations it is nearly impossible to get it back into the bag. Tent manufacturers do this as well and it is really frustrating, just give us a little tiny bit of extra fabric, please!! Toddler Bed Design – How does your child sleep? 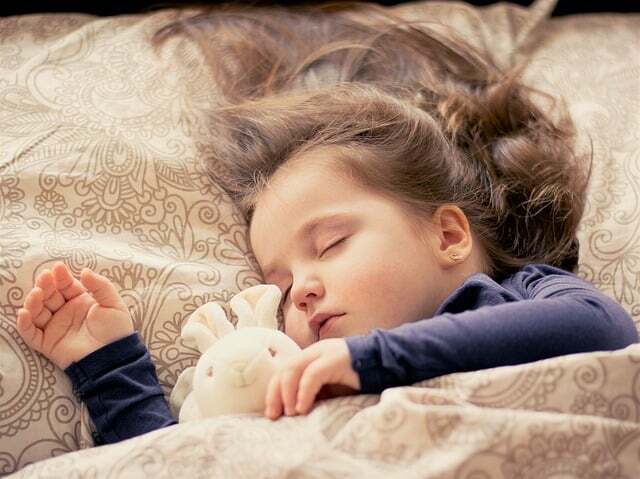 An important factor to consider is the personality of your child and their sleeping habits. Do they wriggle a lot in their sleep? If so a mattress with raised sides would be a great option. Will they enjoy being in a tent? Or would they feel more isolated from you behind the canvas? Will they be happy on an inflatable mattress? Or would they prefer the greater support of a fold up toddler bed? These sorts of questions are well worth thinking about before making a purchase. How do you travel? How will you use your toddler bed? We have touched on this already, but possibly the most important factor is simply your intended use for the portable bed for a toddler. Are you looking for a spare foldable toddler bed for use at home? If so, size, weight and speed of assembly may not be such important factors (unless your house is as small and packed with stuff as ours!) and you can just choose the most comfortable and best value option. 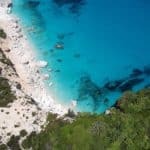 If you are looking for something to take travelling, then these factors (size, weight and ease of use), will probably outweigh comfort and cost as the most important considerations. Only you know what you might be using the toddler camping bed for but we recommend keeping these sort of questions in your mind as you read our guide to choosing the best toddler travel bed. Snug fit system allows crib size sheets to be tucked around the mattress. A bigger bag would make it easier to pack. 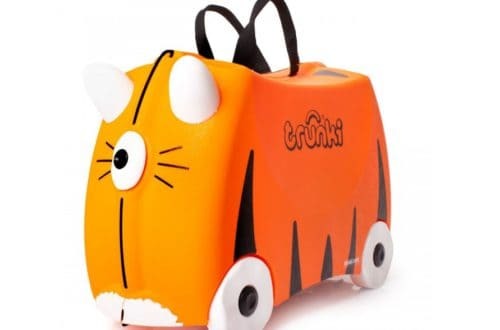 The Shrunks inflatable toddler travel bed is one of the most popular on the market and has been around over ten years. We love that the bed comes with its own blow-up safety rails that are just the right size to make your little one feel at home in the bed and stop them from rolling off in the night. The bed comes with the powerful Jetaire electric pump which makes inflating the mattress a breeze. The mattress itself takes no time at all to fill with air and you can expect the whole process of unpacking, inflating and fitting the sheets to take less than 5 minutes. A nice feature of this toddler bed is that it uses standard sized crib sheets and blankets that can be neatly tucked into the inner mattress to keep your toddler snugly wrapped up with no sheets on the floor. This increases the chance that the sheets will actually stay on your little one if the wriggle about in the night. As with all the camp beds in this review, the Shrunks Toddler Travel Bed meets all relevant safety standards and is made from Safe PVC that is BPA, lead and phthalate safe. Taking the bed down takes a little bit longer than you think it should as you need to squeeze all the air out of the 2 sections. Shrunks is one of the companies that we would like to be a bit more generous with the size of the carry bag, but it does the job with a bit of effort. Hiccapop is clearly positioning this bed as a rival and alternative to the Shrunks Tuckaire toddler bed reviewed above. They claim that the Hiccapop’s inlay-enforced™ vinyl is 40% thicker than on the Shrunks bed, while the safety bumpers are 25% taller & 25% longer than The Shrunks’. 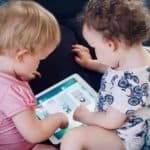 Clearly, they are very similar products but do all these tweaks mean that the Hiccapop is the best toddler bed of the two? Probably. The bed inflated really quickly and was definitely easier to deflate thanks to the quick release valve that means you just have to fold it, roll it and put it in the bag. And, yes the bag is big enough to put it in easily even after a less than perfect fold. The Hiccapop bed seems really well made with double reinforced seams and a heavy duty air valve insure. This should means, no leaks, no puncture issues and a lot less hassle. The Intex Kids Travel Cot Bed is another inflatable toddler bed that is worth considering. It comes in slightly cheaper than the Hiccapop or Shrunks Tuckaire, but for the lower price, you have to make do with a hand pump. This means that inflating the mattress becomes a more time consuming and energetic task. It takes some patience and arm strength to get it pumped up and for us, this is the biggest downside. It is also quite heavy so we do not think that this is the best choice if you are looking for a travel bed to actually take travelling. It is a good option for an occasional trip to see the grandparents or if you want to have a spare toddler bed at home. The mattress is in two parts and creates a sort of ‘nest’ for your child which has proven very popular with young owners of this toddler bed. It also means that you can tuck sheets in between the two sections to help keep them in place. You can use standard sized crib sheets so there is no need to buy any specific bedding in addition to the bed. It is recommended for ages 3-6 so is not the best choice if you are looking for a travel bed for a 1-year-old or 2-year-old. Click here for more details and to read customer reviews. My First Ready Bed is probably the toddler bed that your child would choose themselves. It comes with a range of children’s favourites on the covers, you can choose from Paw Patrol, Frozen, The Gruffalo and many others that are sure to delight your child and get them excited for bedtime. Aside from the character based design, you get an all in one sleepover solution with an inflatable mattress and soft covers all together. This is really awesome. When you arrive all you have to do is roll out the bed and inflate it and you are ready, no need to faff about with sheets or blankets. Perfect for tired children and parents! The air filled mattress has a built-in headboard for extra comfort while raised sides will help to stop your child from rolling off the bed. The Ready Bed comes with a hand pump for inflation and a carry case for easy portability. The covers are removable and machine washable for easy cleaning. A downside to this option is that the bed is only really designed for use from 18 months to 3 years so it is quite a short time frame before you will need to invest in something a bit bigger. The majority of toddler beds reviewed on this page will last your child until around 5 years old. The Regalo portable travel bed comes with a sturdy all-steel frame that should stand up to the challenge of an excitable toddler. One of the things we love about this toddler bed is that there is no set up required, you simply fold it out and it is ready to go. It even has a cotton fitted sheet included for added comfort and ease of set up. The folding mechanism on this is pretty impressive and you can set it up in seconds and fold it away just as quickly in a single motion. The Joovy Foocot is a fold up toddler bed with a sturdy steel frame and a high-quality nylon covering. We like that it doesn’t tip up when your little one is sat at one end. The inclusion of two storage pockets is a nice touch. It is the perfect place to store a flashlight, toothbrush, special toy or a favourite book. The bed is lightweight and easy to set up, you just expand it, secure the clip into place and you are ready to go. It folds down slightly smaller than the Regalo My Cot reviewed above. It comes with a carry bag with a shoulder strap and overall it is about the same size as a camping chair. This bed has no raised sides so younger children that move about in their sleep could roll off this bed. Whilst not ideal, the bed is not too high so they won’t hurt themselves, and might not even wake. But, if you know your little one likes to wriggle you may prefer one of the options that have raised sides. The Milliard Portable Toddler Bumper Bed is a slightly different take on the fold out bed and offers your child a sleeping space a bit like a large bassinet (or padded box!). This creates a super soft, safe place for young kids to rest and relax. It looks really cosy and kids will love sleeping and playing in this. A feature that we really love about this is that when you fold it up it is a bit like a suitcase, and there is enough space for one or two things to go inside. This means that you can pack pyjamas, a blanket, pillow and teddy all together with the bed so no need to hunt around for everything when you arrive. This bed is a good practical option as the mattress cover is machine washable, simply zip it off and throw it in the machine to deal with any spills or accidents. The bed comes with a washable fitted sheet included that can be slipped on and off in a jiffy. All safety concerns have been covered and all the foam is certified to be free of toxins and chemicals. The bed is designed to be gap-free with Velcro flap closures so that little hands and toes don’t get caught. This is the pop-up travel toddler bed that we use at the moment for our 4 and a half-year-old. The set-up is amazing you just take it out of the bag and undo the strap and it pops up in an instant. The self-inflating mattress blows up very quickly. It isn’t that thick (2.5cm) but seems to provide a good level of comfort for our daughter and she loves to sleep in her own little tent. The mattress slots into a zippered pocket beneath the tent so there is no risk of your little one getting trapped under it. We use this style of toddler bed because it is lightweight, packs up small and offers protection from mosquitos. 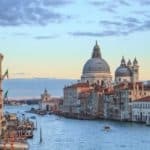 This fits well with our travel style where we will generally be moving location quite frequently on any trip, and often we will be relying on public transport to get around so have to carry our own travel gear quite a lot. We are really happy with this pop-up toddler bed and feel that it is the best option for our travel needs. It only takes a few seconds to set up the bed and it is just as quick pack up into the handy shoulder carry bag. The Kidco Peapod Plus is another pop-up tent style travel cot. The lightweight mesh surrounds your child keeping the bugs at bay, but also allows good airflow to reach your child. A large front zipped panel allows for easy access. The tent style toddler bed comes with a foldable mattress rather than an inflatable one so it is a bit bulkier in this regard. The mattress is attached on the outer underside of the cot using snaps that hold it in place really well. We like how the Peapod comes fully assembled with the sleeping pad snapped to the underside of the floor. You don’t need to do anything, and it can be folded and stored with the sleeping pad fully attached. The Peapod is a well-designed travel crib and they have also thought to include some useful features for outdoor use including UV protection and anchor straps. There are two versions of this cot, make sure that you get the Peapod Plus which is a bit bigger and the one that you need for a toddler. We think that having a well-slept child is pretty much the key to having a happy child and an enjoyable time as a family. Every parent will recognise the warning signs of their child getting tired and irritable. Getting your child to sleep well while travelling, visiting family or, let’s be honest, anywhere you are, can be a challenge. Here are a few things that may help your toddler to get a better nights rest. Increase the chance that you get a lie in with this Gro clock sleep trainer. It helps children who are too young to read an ordinary clock to understand when it’s time to get up, and also acts as a night light. These travel blackout blinds are great to ensure that you can make your room dark on light summer nights, or if you find your hotel room is right by a street light! Once you have blocked out the light and got the room nice and dark your toddler may complain that it is too dark. We have this great owl night light that keeps our daughter happy but isn’t so bright that it will keep everyone up all night. We hope that you have enjoyed reading our round-up of the best toddler travel beds. There are a few different styles and options to choose from and we feel that each offers something slightly different. It is always nice to pick a winner at the end of a review. In this instance, we have picked a few. Maybe, that seems a bit indecisive but to an extent, we feel that there is no one best toddler bed that covers all uses and it is important to think about what you are looking to use the bed for before choosing the one you want. 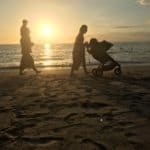 Ergobaby Metro Compact City Stroller Review – The Best Travel Stroller for Flying?